Perfect as a vacation bonding session or as a thoughtful gift for Father’s Day! Inspire your friends and kids to sign up for this specially curated interactive hands-on workshop which allows bakers to experience an insight into healthy baking. Each lesson is meticulously planned to impart knowledge on baking with allergen ingredients, refine baking skills and obtain useful tips pertaining to Delcie’s recipes. Entrust that we place huge emphasis on the quality of our class to ensure participants get to enjoy an enriching baking session over light refreshments from Delcie’s, the satisfaction of bringing back their delectable creations! Delcie’s sharing of her baking journey. Learn about the healthier ingredients she uses in her bakes. How to bake vegan diabetes friendly chocolate cake without eggs, butter and cane sugar. How to prepare the vegan Hazelnut Chocolate spread without using milk and cane sugar. How to layer cake, crumb coat and decorate a cake. How to make a smooth vegan keto friendly ice-cream without using eggs and dairy. Take home a self-made cake and 2 cups of nutty ice-cream dessert cups. *Do note that preparation and mixing of ingredients will be done in pairs/ fours while assembly of cake will be individual work. A moist chocolate cake sandwiched with rich hazelnut chocolate spread.Participant will get to learn how to bake a vegan moist refined sugar-free chocolate cake and it’s hazelnut chocolate filling. Participant will also learn how to layer cake, crumb coat and decorate this cake. A back to basic product which Delcie started her baking business with only 1 type of products – desserts in cups. Participant will learn how to make a vegan low carb summertime ice cream that contains so many great ingredients in one blend. Bread lovers rejoice! We not only bake the healthiest Keto cakes in Singapore — our first impossible carb free bread is incredibly healthy too! Our wholesome soft loaf are freshly baked and provides a chewy bread-like texture. Smear it with your favourite spreads and you’ll almost think its the real thing! This vegan keto bread loaf is 100% flourless, sugar free, eggless, oil free, dairy free, yeast free, but delivers 100% satisfaction ? The opportunity to create whilst on Keto is infinite! It is made up of almond, flaxseed, psyllium husk, apple cider vinegar, baking powder, salt and cream of tartar. My heartfelt THANKS for including Delcie’s Desserts as part of your many celebrations. When the bakery was established, I was a one man team operating out of a dimmy 100sqft kitchen. Over the years, I faced financial woes, battled with a bout of depression after my mother’s passing from cancer, struggled with ingredient availability, and challenged social stigmas surrounding desserts amongst many others. The journey was tough, but I never gave up. I offer my eternal gratitude to my husband (then boyfriend) for inspiring me to bake even healthier and most importantly YOU, my customers whom gave me encouragement and courage to sustain this business when it was not even profitable. With your constructive feedback, from product taste, service to pricing, we take them in our stride and continue to reinvent and improve ourselves. Today, at Delcie’s, I am proud to be part of a 10 women team whom I am in debt to for keeping operations running while I focus on product research and development to better serve the needs of the community. Through this, we are able to offer an even wider dessert range to include customers whom are on non-medical specific diets to jump on our bandwagon to eating healthy. Just like how we started with organic products, then vegan based to the ketogenic range today, the future for Delcie’s Desserts will continue to be inspired my personal encounters and your stories. I do invite you, my dear customers to come up and share your stories and challenges with me for you are the basis of my success story. Being the “Sensitive Chef” that I am, I will continue to steer Delcie’s Desserts towards an all-inclusive and accessible bakery. We strive to satisfy the needs of our customers through products of the highest quality whilst keeping prices competitive. Customers can look forward to more value add from us this year, kicking off anniversary festivities with more rebates online and accessibility to our products too through grocery and food app partnerships. Lastly to celebrate our milestone of making it to TEN, I made it a personal mission to give back to the community. This year, I have embarked on a CSR project that is close to my heart – the National Cancer Centre Singapore (NCCS) – Jeans for Genes programme. Fundraising commences in April and I have nominated the sales of my debut recipe book Delcie’s DESSERTS and CAKES towards the programme. All sales proceeds from the book in store will go to the support of Cancer Genetics Testing. Here’s wishing another ten beautiful years to us and thank you for being part of our journey! p/s: I also welcome any schools or institutes who would like me to guest speak about common dietary misconceptions and eating healthy. More 10th Anniversary activities will be released on our Instagram or Facebook page in May. Be sure to follow us! For our 10th birthday, enjoy a 20% online* storewide discount for pre-order collection anytime till the end of 2019. To order, use coupon code <delcies10> upon checkout from 19 to 28 April 2019. Offer ends midnight 28 April. Celebrate your mother’s love this year with a healthier option that truly cares for her health. Choose from 2 of our brand new flavours this year. Delcie’s DESSERTS and CAKES features a selection of 50 healthy vegan recipes which use low-GI natural sweeteners in place of refined cane sugar. Sensitive Chef Delcie Lam, founder and owner of the home-grown bakery and author of the book, cherishes baking exquisitely healthier pastries for dessert lovers who have long been deprived of such treats due to health reasons. Having met the expectations of customers and their loved ones with diabetes or allergy condition over the years, the innovative Delcie felt compelled to continue creating delectable and healthier bakes for life. Celebrate your mother's love this year with a healthier option that truly cares for her health. This Mothers’ Day, we have created two wholesome vegan and diabetes friendly flavours. In-conjunction with our 10th birthday, enjoy a 20% online* storewide discount for pre-order collection anytime until the end of 2019. To order, use coupon code DELCIES10 upon checkout from 19 to 28 April. Offer ends midnight 28 April. decorated with florets in warm coral and cream hues that was inspired by the colours of our recently face-lifted storefront. a decadent hazelnut and feuilletine filled cake for chocolate loving mums. This Lunar New Year, we bring you our best-selling guilt free goodies that will indulge your taste buds and soul! One of our best selling Pineapple Tarts that melts in your mouth. Made with the freshest honey pineapple, every piece is an indulgence. Allergens: Wheat, Pineapples, Soy, Corn, Sunflower, may contain nuts. A melt-in-your-mouth recipe diabetic friendly pineapple ball made using the freshest pineapples without added refine sugar. One of our best selling product that melts in your mouth. Made with the freshest honey pineapple, every piece is an indulgence. Allergens: Wheat, Dairy Butter, Pineapples, Soy, Corn, Sunflower Seed may contain nuts. *This product is produced in a separate kitchen. A vegan, diabetic friendly, hi-fibre and zero cholesterol oatmeal cookies baked using 5-Elements ingredients – Flaxseed, Chia Seed, Coconut, Pumpkin Seed, Tumeric. Oven-Baked Korea seaweed, layered on a crispy pastry skin. A melt-in-your-mouth recipe made with 70% Almond and with a lower sugar formula. In Year 2019, we have altered our recipe to gluten free! A melt-in-your-mouth recipe made with 70% macadamia nuts with almond nuts and with a lower sugar formula. This is a new product for Year 2019! A low carb alternative to the original chocolate chip cookie. Absolutely yummy and guilt-free! A melt-in-your-mouth recipe made with 70% cashew nuts and with a lower sugar formula. A melt-in-your-mouth recipe made with 70% freshly roasted green peas and a lower sugar formula. Infused with rich freshly squeeze coconut milk, this eggless and dairy free love letters will not fail to impress all eggroll lovers. Our Vegan Lactation Cranberry Cookie is made using unbleached wheat flour, oatmeal, organic brewer’s yeast, flaxseeds, organic extra virgin coconut oil, organic coconut flower sugar and wholesome dehydrated cranberries. The key ingredients that can actually help increase milk production are Oats, Brewer’s Yeast, and Flaxseed. These nutritious snacks are definitely great for breast feeding mums and suitable for children’s consumption too! Brewer’s Yeast also contains active ingredients such as Vitamin B, Folic acid, Riboflavin, Niacin, Thiamine, Pyroxine, Calcium, Copper, Chromium and Iron that fight hair loss and promote hair growth. To get a fresh tub of these wonderful breast feeding lactation cookies, click here to pre-order now! *5 working days notice is required. 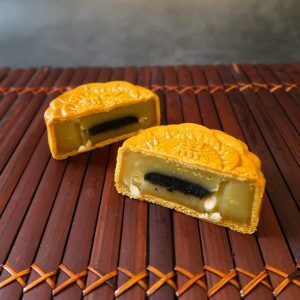 In the recent Straits Times (Sunday Times) article, published on 26 August 2018, it featured a range of low sugar mooncakes, including our Cane Sugarfree Mooncakes such as Cane Sugarfree White Lotus with Salted Mung Bean, Cane Sugarfree White Lotus with Black Sesame, Cane Sugarfree Pandan Lotus with Salted Mung Bean and Lower Sugar Protein Pack Mixed Nuts. One of our regular customer, Madam Emily Low, had commented to Straits Times that she was prepared to sacrifice on taste when she decided on healthier options. 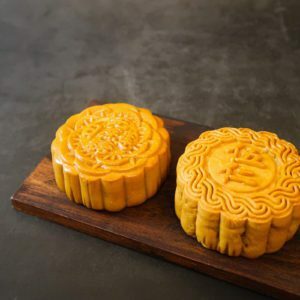 But after tasting our products, she was surprised that she could taste more of the other ingredients in the mooncake due to the lower level of sweetness such as the lotus and pandan original flavour. She normally gave our cane sugarfree mooncakes to her elderly aunts and friends. They were usually touched by her consideration of their aging health. Over the years, we are also seeing more companies approaching us for lower and no sugar cakes for their company’s birthday celebrations. With cakes that are more inclusive, such as vegan which are suitable for all types of vegetarian; diabetes friendly that are suitable for older generation employees and those with diabetes condition; and made with halal ingredients for the Muslim community. On top of that, more companies are moving towards choosing healthier options for their staff and giving away to old folks homes during their charity events. We are really happy to announce that we are under Health Promotion Boards, Healthier Dining Programme too! 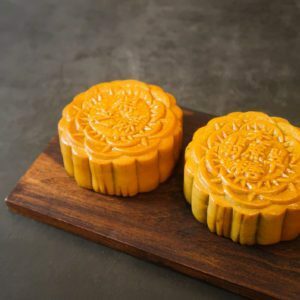 If you’re thinking of getting a cake or mooncake during this festive period for your elderly relatives or friends, you can consider ordering from our vegan and diabetes friendly range of products. Ever since our Opera cake launch during Mother’s Day, we have been getting a lot of request to make Keto friendly cakes. While my own brother, sister-in-law and a few other friends were also on a strict Keto diet, I went to read up more about this diet and the benefits it would bring to our body. After giving birth to my second child, I ballooned up very quickly and decided to try out eating low-carb for 2 months. Along with my usual exercising routine, I manage to lose those pounds very quickly and has been maintaining it ever since. Honestly, during that 2 months, I find myself desperately looking for desserts and especially, cakes. The good news is that I can bake them myself. With that, I revised a couple of our gluten free recipes and make them low-carb. Some of which, I was able to convert them into Keto friendly by avoiding all the starchy ingredients and replacing sugar in the recipe with Stevia sweetener. While trying to maintain our no egg and no dairy baking rule, all our Keto cakes has to be vegan too. This is not an easy task but my team and I still manage to crack our heads, put in a lot of hours into trial baking, and feeding ourselves with cakes after (not complaining). If you are on a Keto or Paleo diet, or is looking to enjoy a low carb cake, you may view our cake selection here. You can now purchase our mooncakes on Red Mart!! While stock last. Thank you to all to our customers for your support for our mooncakes over the last 2 months of pre-order period! Our online pre-order has now closed. 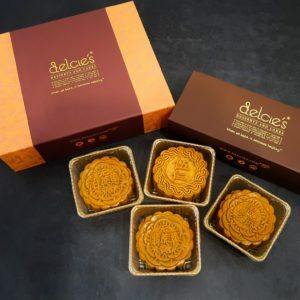 If you have not order and wish to purchase our mooncakes, please visit us in store at Blk 34 Whampoa West #01-83 S330034. Mooncakes availability in store are on first come first serve basis. Reservation is only available for same-day or next-day collection. Thank you for your understanding. Expire date for our last final bake batch is on 24 Oct 2018. 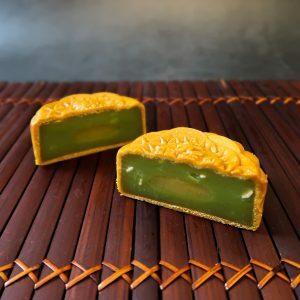 We are happy to finally announced our mooncake 2018 pre-order is now available. As per every year, we are bringing back our ever popular vegetarian, vegan, sugar free and low sugar mooncakes. These highly demanded mooncakes are reserved on first come first serve basis with full payment only. Likewise, we will also be having our Gluten Free mooncakes and hot selling Spiral Sugar Free Mooncakes this year. Mid-autumn festival 2018 falls on 24th Sept (Mon). All our mooncakes uses Halal ingredients and had been featured multiple times in press and magazine over the past 7 years since we first launch our vegan healthier sugar-free mooncakes. Note: All our mooncakes are suitable for vegans and vegetarians. 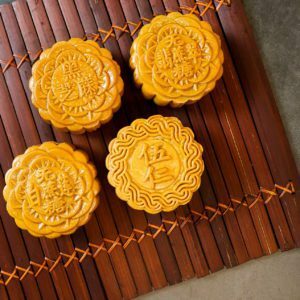 Non gluten-free mooncakes contain wheat, gluten, peanuts, and nuts sources. 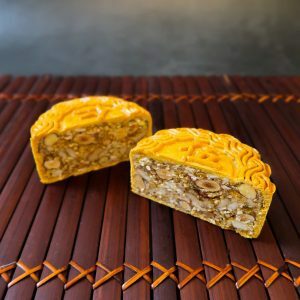 For customers with diabetes condition, please consume sugar-free mooncake in moderation and accordingly to 1 serving size as they still contain calories. Box of 4 set comes with a paper carrier. *mooncakes are packed in box of 4 and comes with a paper carrier. All mooncakes uses halal ingredients, vegetarian and vegan friendly. Note: Flavours are fixed for this combination and changes to flavour is not allowed. Note: Photo are for illustration only and actual product may vary. Note: Contains peanuts and nuts sources. 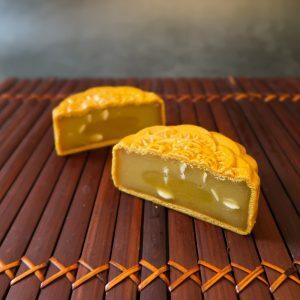 These gluten free mooncakes are baked in a facility that uses wheat and nuts. Note: Early bird discount is not applicable for this custom mix box. Note: Photo is are illustration only. Actual product may vary. Box of 2 set does not come with carrier. Note: These gluten free and nut-free mooncakes are baked in a facility that uses wheat and nuts.